Fifteen years ago smartphones were still in their infancy, and typically they would look rather like a traditional phone with a bigger screen. It turned out that this type of device was an evolutionary dead-end and instead the modern smartphone is actually descended from a concept called the “wireless PDA”. Long extinct these days, a PDA was basically an early smartphone-like device that you had to sync with a computer to get data, rather than being a standalone computer in its own right. Early devices such as the Palm Pilot proved a hit, but really they were just glorified electronic calendars. HTC had been making PDAs for some time, for example the successful Compaq (later HP) iPAQ range. It seemed like a natural progression to make these limited early PDAs rather more flexible by adding cellular data so that potentially they could be used when away from your desk. Their first attempt at a wireless PDA was the unlovely HTC Wallaby which met with limited success. A year later they released the HTC Himalaya which was an improved version. 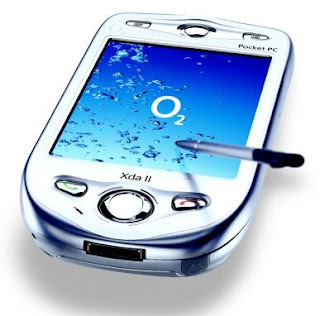 Back in those days, HTC did not sell products under their own name, so you were likely to see the Himalaya badged as the O2 XDA II, Qtek 2020, Vodafone VPA, T-Mobile MDA II, Orange SPV 1000 or Dopod 696. Confusing, eh? The key feature of the Himalaya was the very large (for the time) 3.5” 240 x 320 pixel touchscreen display on the front. Although the same size as the iPhone launched several years later, this one was a somewhat lower resolution and the older resistive touchscreen technology was more suited to a stylus than a finger. It was also a fair bit more bulky than the more iconic iPhone, but the Himalaya is a recognisably modern smartphone in its layout. Limited to 2G only and lacking WiFi, the Himalaya lacked the high-speed data that we take for granted these days. 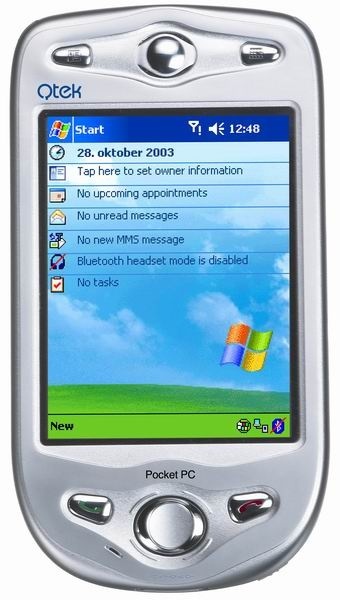 Loading applications onto the phone was a little clunky as you basically had to transfer them from a PC, and the Windows Mobile operating system of the day was rather limited and not all that easy to use. But there can be no mistaking that the HTC Himalaya is one of the direct ancestors of the modern smartphone we all know today. HTC stuck with it, and following generations got better and better. 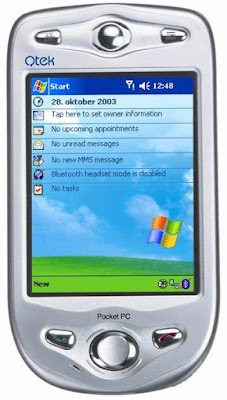 After pioneering Windows smartphones, HTC followed up five years later with the world’s first Android phone, the HTC Dream. For collectors, the HTC Himalaya (under any of its various names) is quite an uncommon find, but is relatively inexpensive.